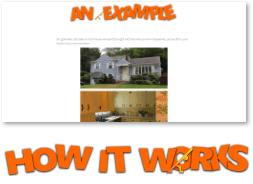 Sell My House Fast in Fairfield, Connecticut! Need To Sell Your House In Fairfield, CT Fast? We’re Buying Houses In Any Condition! If You Own A Property In Fairfield, CT That You’d Like To Sell, We’d Love To Make You An Offer! Don’t list your house until you consider all of the selling options available to you. A traditional property listing isn’t always the best way to sell a house in Connecticut. For some properties, especially ones that are run-down or need a little work, selling directly will be the more profitable, and less stressful way to sell. We are the buyers and we can close on your house right away! If we make you an offer, you can consider your house sold! There is NEVER any obligation for you to sell. Run the numbers and do what’s right for you! There is something about taking an old, run-down house and turning it into something new. It is what we love to do and have been lucky enough to be able to do it full time. We always work hard to ensure our process is fair to everyone involved. Our offers are based on market value and we close on the day that is the most convenient for you. Sure, we would love to buy your house, but we also enjoy our ability to help people who feel stuck with an unwanted property. No matter what condition your house is in, We Buy Houses In Connecticut would love to make you a no-nonsense offer right away! It may be incredibly expensive and time-consuming. After you consider the repairs, upgrades, holding costs such as utilities, taxes, and insurance, the high agent commissions, administrative fees, closing costs… by the time you add everything up, it amounts to a small fortune! You can avoid ALL of these costs with a direct sale to We Buy Houses In Connecticut! You don’t have to wait around, potentially for months, waiting for your house to sell. 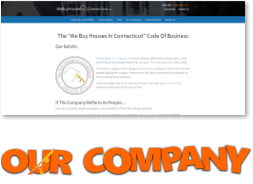 With a direct offer from We Buy Houses In Connecticut, you will be able to quickly sell your house for a fair price and move on. The selling process doesn’t have to be difficult! 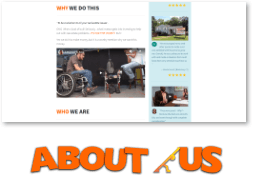 We want to work with homeowners to create situations that benefit all parties involved. We’ll never take advantage of you or give you a low-ball offer. And if you don’t like our offer, simply say “no,” and walk away, it’s as easy as that! We don’t want to pressure you into a sale. We want to provide you with an alternative to listing with an agent. And since we are passionate about fixing up houses, we are able to save homeowners money while doing what we love. We’ve helped Fairfield homeowners deal with repairs, bad tenants, foreclosure, divorce, outdated homes, inherited homes, properties with liens, and even houses with fire damage. As direct buyers, we are able to make an offer and close on your property quickly. We’re not reliant on bank financing, so you won’t have to wait around for the funds to go through. 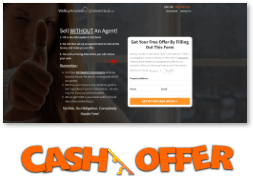 We have the cash to pay you quickly, so you can be rid of your burdensome house right away. Our offers are always honest and fair. 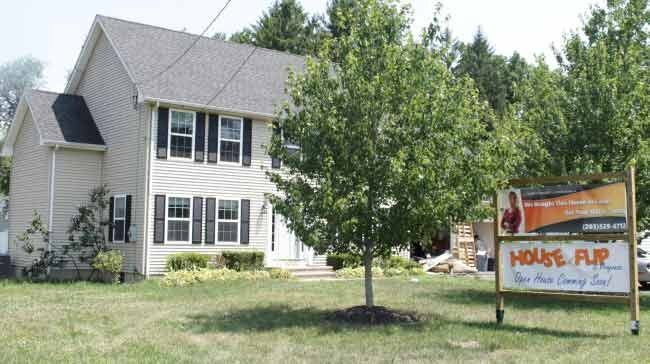 We Buy Houses In Connecticut is buying houses right now in Fairfield, Connecticut. Has something happened to make you say, “I need to sell my house fast?” We can help you with a fast and fair sale of your Fairfield house! Learn more about what we can do for you! Get in touch with us today! Fair Offers Above All Else! We’ll always treat you with the respect you deserve. We are not going to waste your time with low offers. This is why we have such great reviews throughout Connecticut!